Have you made a difference yet? We have until June 30, 2017 to raise money towards these funds. For more information or to donate now, click here. The Annual Fund is used when education happens in the classroom, not on a field trip. Our greatest need is for contributions toward these day-to-day operational costs. Every gift given to Bryn Athyn Church School’s Student Financial Aid will be matched up to $75,000. The Educational Enhancement Fund (EEF) is used exclusively to pay for materials and activities that enhance the students’ education. The budgeted cost for these enhancements is $20,000. Rather than require students to bring in money each time a field trip occurs or there is a special request from teachers, we use this fund for these events and/or teacher requests. For a list of enhancements supported by this fund visit brynathynchurchschool.org/support-us/fund/. 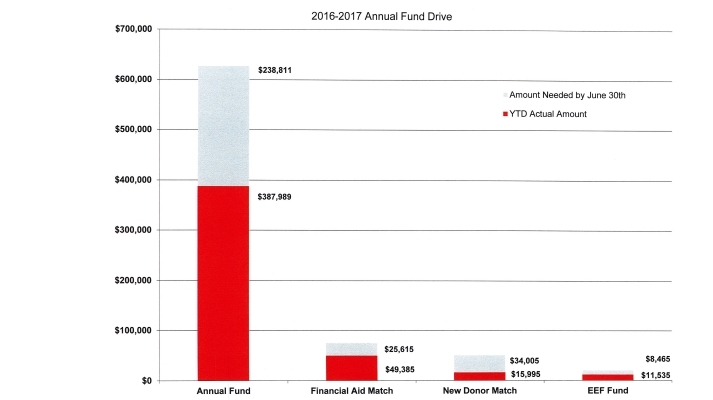 Every gift given to the Annual Fund, by someone who has not contributed in the past two years, will be matched up to $1000 per donor with a maximum of $50,000. If you are a new donor AND you give to the Student Financial Aid Fund, it will be matched, TWICE! First, it will be matched into the Student Financial Aid Fund. Second, it will be matched into the Annual Fund. To make a gift now, visit brynathynchurch.org/about/make-a-gift/.